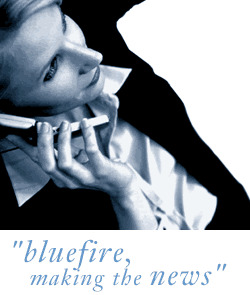 Bluefire Consulting | IT Manager : "confident communicator" "excellent generalist IT skills" "MSCE"
We are currently looking for an IT Manager on behalf of our client who are an innovative event marketing company in a role which will involve supporting internal staff, key suppliers and their blue chip client base by managing and developing the IT infrastructure of the business. Your role will be to improve the IT infrastructure of the business to deliver the highest quality service to internal and external customers in this very much "hands on" role. It is essential that you are self motivated and constantly looking to implement new idea's and procedures which improve the company efficiency combined with a strong IT generalist skillset as you will be regularly dealing with PC's, laptops, Camera's, satellite navigation systems and remote IT Equipment. You will also be responsible to induct staff in IT systems, procedures and policy. "confident communicator" "excellent generalist IT skills" "MSCE"